Size: approx. 5-10 mm. Photo: 07/14/11, 4 pm. 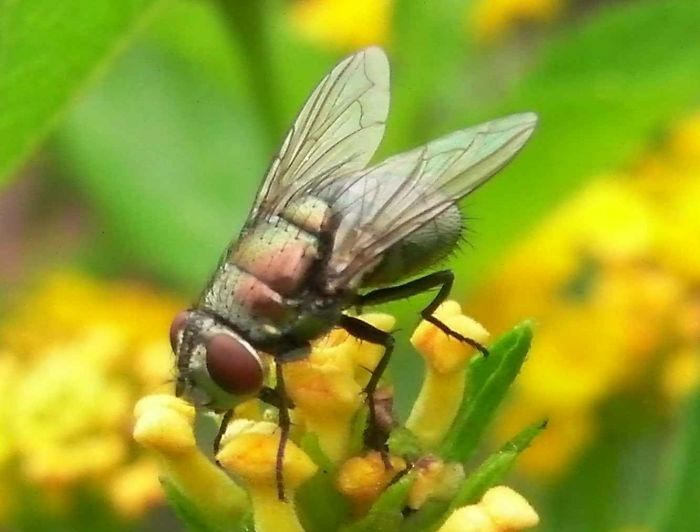 This is the very common Blow Fly or Green Bottle Fly (Lucilia sp.). There are 11 species in North America, which are--at least for me--very difficult to distinguish.